Each spring we kickoff the maple syrup season with a variety of public programs and tours that are open to the public. Check out our Calendar of Events for a complete listing of Maple Syrup Tours. The Ney Nature Center taps over 100 trees including a gravity line of about 20 taps. Each year we produce approximately 20 gallons of syrup and you can purchase a bottle in our office. 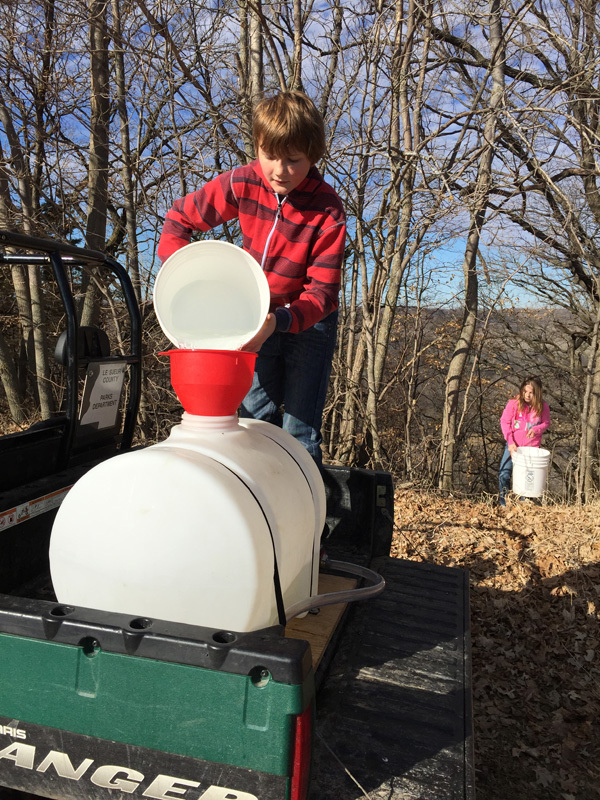 When the sap flows in February and March, we will also welcome anyone who would like to volunteer. Call the office to sign up for a volunteer shift. Dress for the weather and wear sturdy shoes. The trails are muddy and intermediate hiking is involved in the sap collection. We estimate a time commitment of 3 hours depending on the amount of help we have.